Commercial Property developer, Knight Property Group are the new sponsors of the Westdykes under 13’s and under 15’s football team. The celebrations continue for the Westdykes squad. In addition to securing kit sponsors the team have also graduated from 7 vs 7 non-competitive games to 11 aside games, with the most recent win being 12-1. Team coach Steve McKay commented: “We’re extremely grateful for the sponsorship from Knight Property Group and the boys are absolutely delighted with their new kit. Having a new kit to compete in not only boosts team morale but inspires them to do well and work together as we move into our first season of 11 aside football. 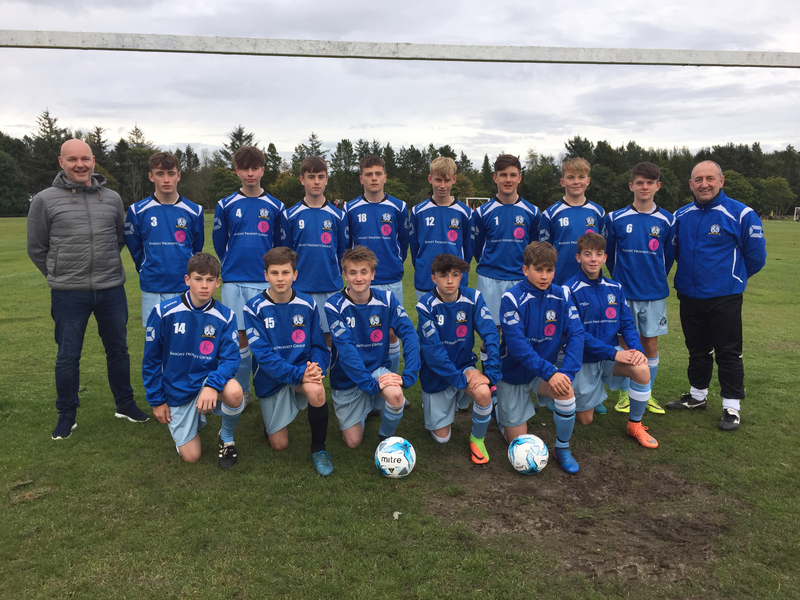 Knight Property Group Director, Howard Crawshaw comments “We’re delighted to sponsor Westdykes football teams, it’s important for young individuals to feel part of a group and take part in something they enjoy on a regular basis. The firm is the sister company of Aberdeen’s Chess Group, which owns serviced office provider BlueSky Business Space, IT services company Eskimo Intelligent Solutions and mechanical services provider Aircon Scotland.